A Designer plays with options. 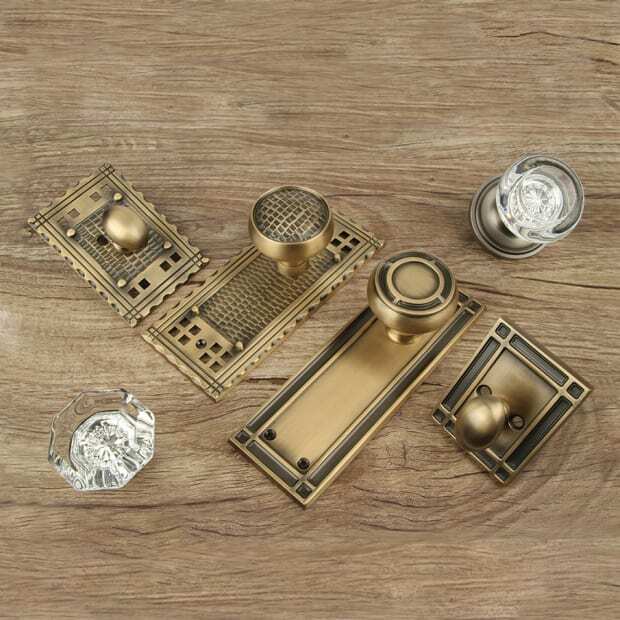 Period elements, albeit finer than those found in many old houses, include the recessed medicine cabinets with cornices, brass sconces, and leggy Belle Epoque-style sinks. 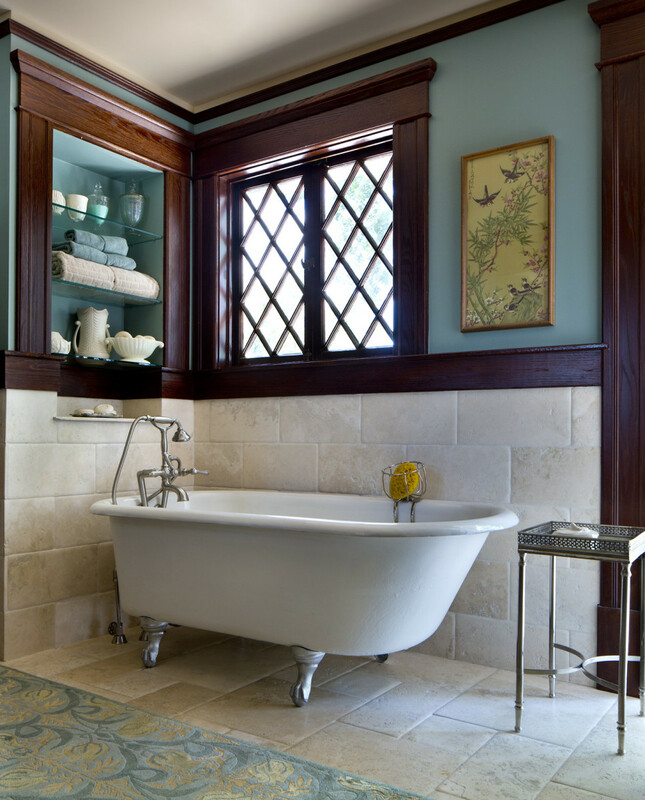 Designing for clients in the Arts & Crafts enclave of Mountain Lakes, New Jersey, Carisa Mahnken has produced stunning period-inspired bathrooms, all of them unique. She’s taken two different approaches: 1. 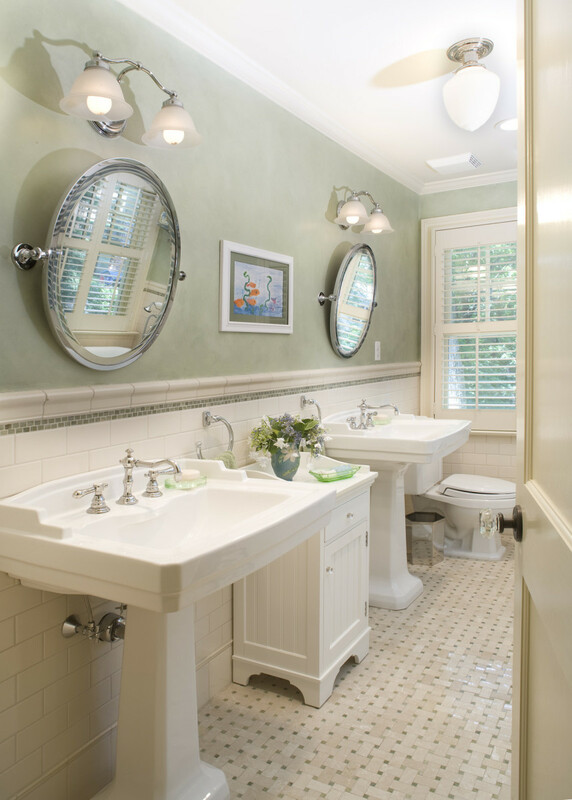 Keeping it simple with white tile and fixtures for the “sanitary” look popular around the turn of the 20th century. 2. 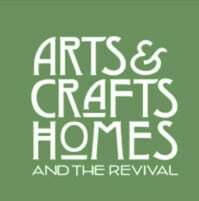 Leaning toward the recent Craftsman Revival, using oak woodwork and stylish lighting, earthy tones, and perhaps art tile. 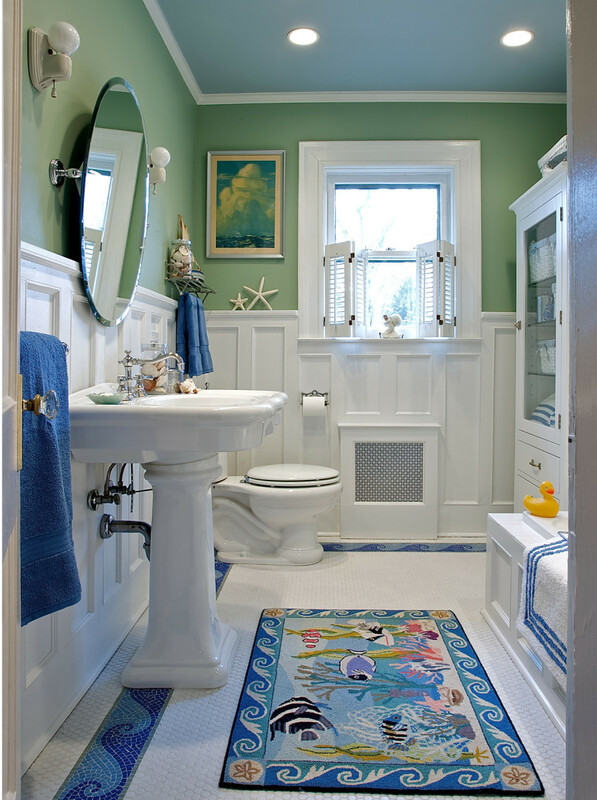 This version of a “sanitary white bath” edges toward cottage style with its painted wood wainscot and a whimsical mosaic wave border in the hex- tiled floor. 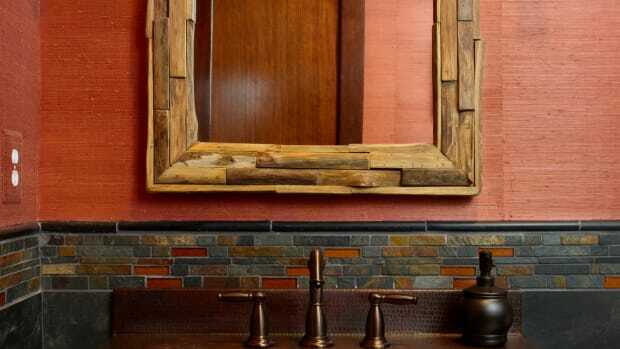 The more “masculine-looking” bath was designed for teenage boys, and is clearly Craftsman: dark oak trim elements flow into rich terra-cotta walls, a warm contrast to the crackled subway tile chosen in an off-white color. Traditional elements like the Tudor window and heavy woodwork are the basis for a room that still meets modern expectations. For another client in a Tudor-inspired Craftsman house, Mahnken and architect Joan Nix eliminated a fourth bedroom to enlarge a master suite with a spacious bathroom and closet. The centerpiece of the bath is a deep slipper tub. Salvaged from demolished space elsewhere in the house, it nestles in a corner beneath a high, diamond-pane window. A hefty cap rail carries throughout the room. To keep the design restful, walls are clad in pillowed marble tile, set in a staggered brick pattern. (“Pillowed” means that the tile was made with slightly rounded corners.) The designer chose a similar marble for the floor. To play off the dark woodwork, Mahnken used deep jewel-tone colors throughout this house. The master bath’s soft, greyed-down blue is no exception. “You have to work with the era’s dark woodwork and not fight it,” she says. 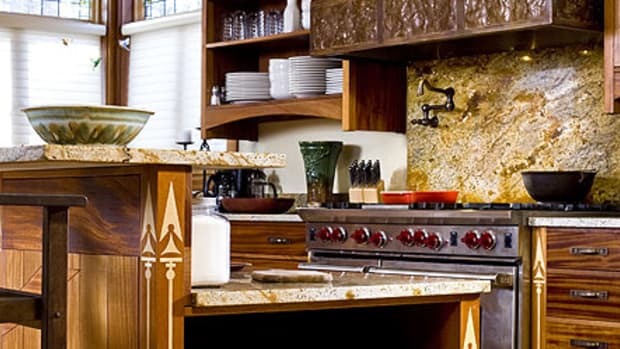 Here the choice of fixtures, mirrors, and lighting leans toward Art Deco design. 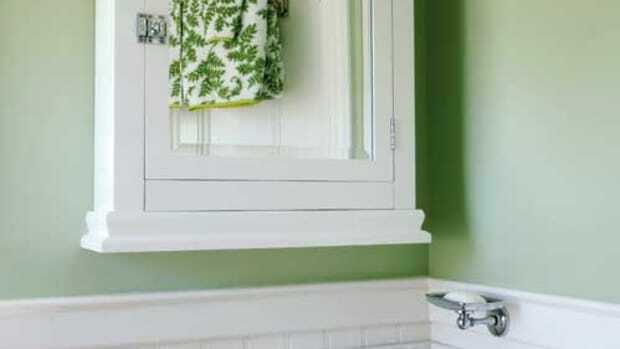 The white subway tile so familiar from bathrooms of the ’teens and ’twenties is a versatile backdrop for bungalow baths. 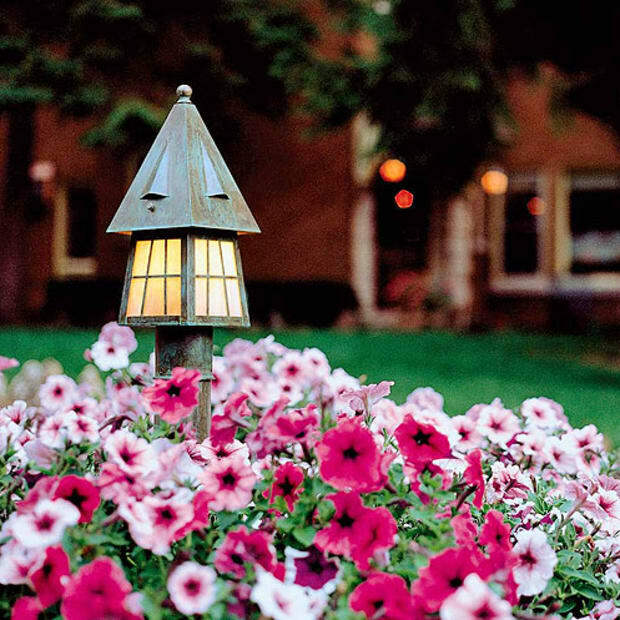 Use white fixtures and period-friendly lighting, and the look is almost identical to originals. Add art tile and some natural-finish wood, plus a period rug or curtains, and it’s a revival room. 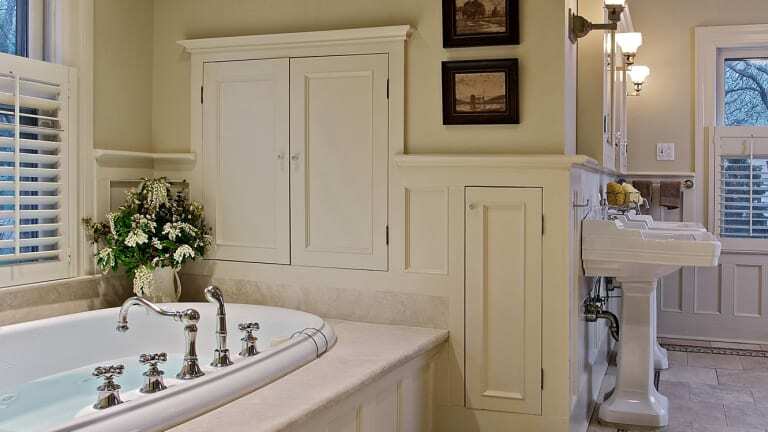 Choosing pedestal sinks over vanities created a need for storage—which was created in the eaves of this attic bath. 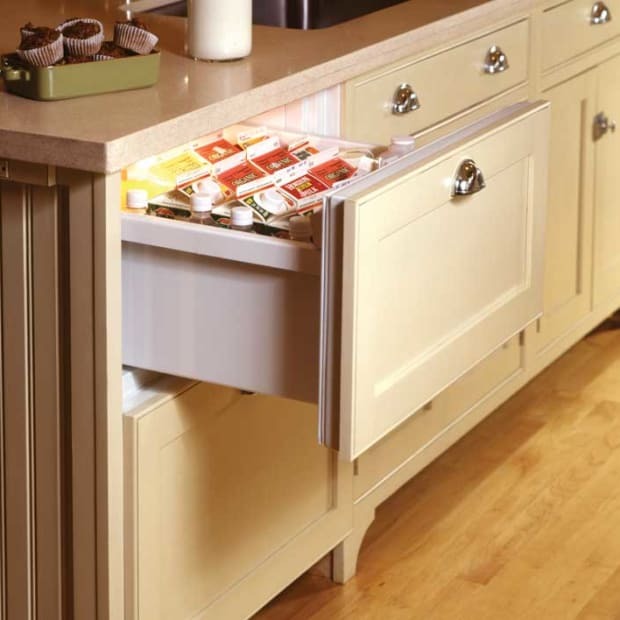 The narrow cabinet in the wainscot is a repurposed pantry pull-out. Built-in furnishings—a linen closet, window seat, or shelving set into walls—makes best use of space. Freestanding furniture pieces, especially if they’re vintage, add to the period look of an unfitted room while providing even more storage. A salvaged sink or tub may become the centerpiece of the room, but today’s reproduction fixtures are perfectly compatible in design and scale. Revival baths are often decorated like other rooms, down to wallpaper, art, and textiles. 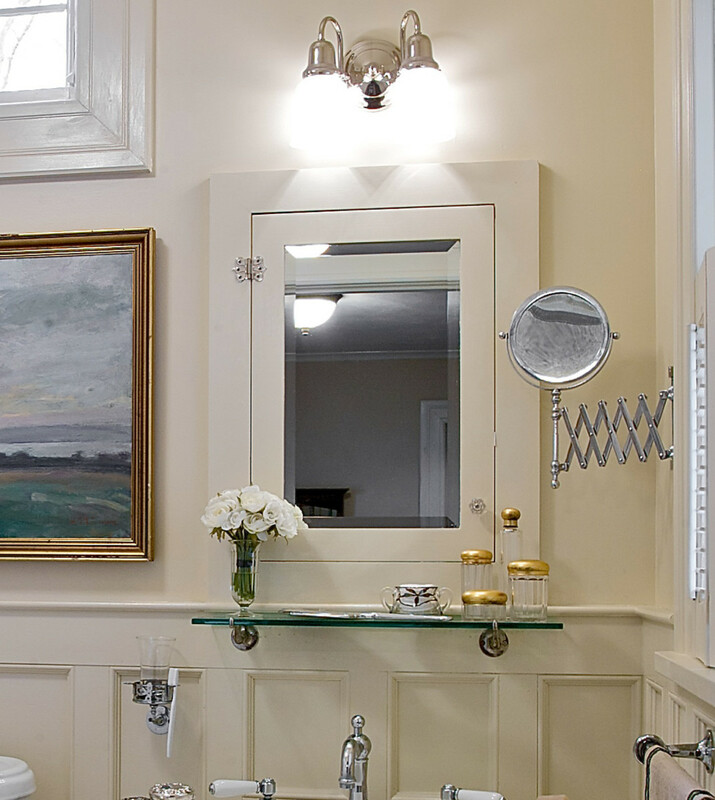 The painted, raised-panel wainscot in this bathroom picks up what’s in other rooms in the 1918 house. Accessories mimic those used in the period. 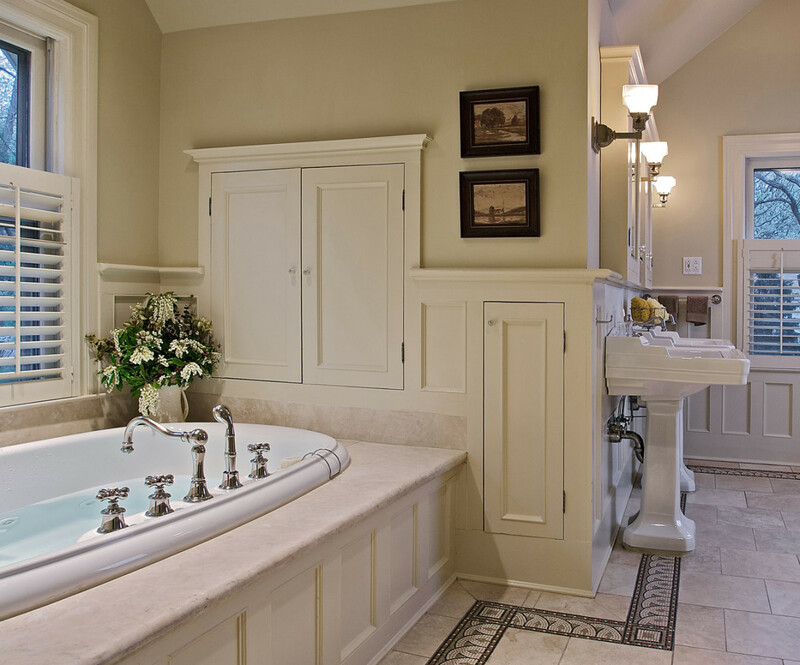 The designer takes a classic approach to create a balance of beauty and function in these two new, period-style baths. In our era of must-have-it-all luxury, some people can still leave well enough alone. They usually live in old houses.